First, thank you, thank you, thank you to Viking for providing me with a copy for this book, sending it so quickly and with such enthusiasm after I requested it for review. I am grateful to you. Second, what a shock! 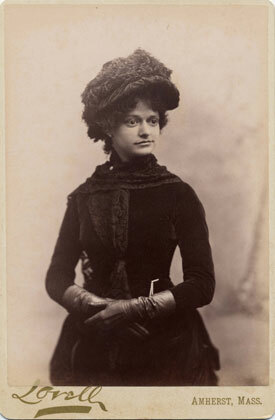 I had no idea of the scandal and drama Dickinson's family went through due to her brother Austin's affair with neighbor and Amherst faculty wife Mabel Loomis Todd – an affair conducted fairly blatantly, in both of their homes, without any but the most superficial attempts to hide what was going on. Todd's daughter, Millicent, even witnessed Austin and her mother going into her parents' bedroom on numerous occasions, left neglected while the two were behind closed doors, a child of eight or nine pacified with a pat on the head then left to fend for herself. Oddly, despite all that Millicent would later go on to defend her mother. 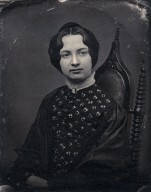 And Lavinia, sister of Emily and no fan of her sister-in-law Susan Dickinson, paved the way for the two lovebirds to meet in the Dickinson home. For all intents and purposes, the two were given carte blanche to carry on their affair. 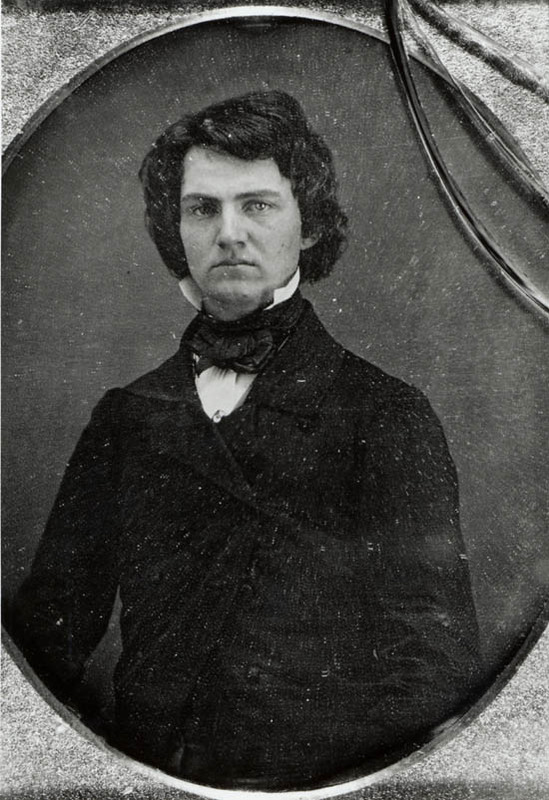 As for Todd's husband, David, Austin held a high position at Amherst College, and David had ambitions to have an observatory built there to aid his scientific research. He apparently never voiced any objection regarding the affair, instead, appearing to enjoy a happy relationship with his wife. Did he use his wife to get to Austin Dickinson, or was there some other contributing factor? Nothing seems clear on that point, but there's no reason to believe David Todd and his wife were very happy together. Austin's wife, Susan Dickinson, was well aware what was going on and fumed, understandably. She held onto the marriage, opting against the visible social shame of divorce, holding the family together. Though she and Austin weren't on good terms, Austin always came home to her, despite Mabel Todd repeatedly begging for marriage and increasing dismay Dickinson never left his family. Mabel and Austin suffered no roadblock in frequently being together, but neither did Todd achieve her goal of wresting Austin from Susan. Small consolation to Susan Dickinson, but one she must have enjoyed holding over Mabel Todd's head. Amongst all this, Emily Dickinson continued to write her poetry and live her life as a reclusive artist. All apparently adored her, tiny sprite that she was, and her outward reputation managed to stay lily-white, despite the fact she also expressed strong affection for a married man, letting him know of her sexual attraction in no uncertain terms. In her case the relationship was apparently never consummated. Through all the mayhem, it seems Susan Dickinson was most concerned with protecting the family's reputation, at least before Austin's death. Following that all hell broke loose when Emily's sister, Lavinia, got into a land battle with the Todds regarding what Austin had asked her to carry out following his death. He knew better than to write anything in his will about his wish to give a parcel of land between their two homes to his illicit lover, instead asking Lavinia to carry out the transaction quietly.Unfortunately, an exchange of this importance wasn't to be taken as lightly by the family as Austin had deluded himself into thinking. Though she did sign the agreement, later Lavinia back-pedaled, claiming she was taken advantage of as the innocent, inexperienced elderly spinster she was. Thus began a nasty court battle, in which the Dickinson family name was dragged through the mud, and Mabel Todd revealed as the adulteress she was. Fans of Emily Dickinson can be grateful she wasn't alive to see all this. However, not just a story about the sordid, Gordon begins the book concentrating on Emily, her poetry, family and friends, and her health issues that may or may not have involved epilepsy which encouraged her reclusive behavior and frailty. The author then branches out to the increasingly complicated and acrimonious situations created by the passionate affair. The book as a whole gives less weight to Emily than the other things going on around her, but most certainly does not slight her work as well as the publication – by bits and pieces – of her poetry following her death. Poetry edited by the professional writer and speaker Mabel Loomis Todd, by the way. And there's another point of contention the reader can look forward to reading, learning how Emily's poetry was finally published, or at least part of it. The story reads like a novel, replete with as wide a cast of characters as any reader could wish. And it's a gripping tale well told. If I had to name one negative it would be the chapters following the court battle, chapters that seem to drag the story out a bit past my own limit of interest. But even that's a small criticism of an outstanding work of biography, one that unveils the complete tale of the Belle of Amherst, one that explores painful truths about all involved. My highest recommendation goes to any fan of Emily's, interest in the Dickinson family or the already notorious affair between Austin and Mabel Todd. Actually, I can't imagine anyone who enjoys reading literary biography and/or New England history not enjoying this fantastic book. 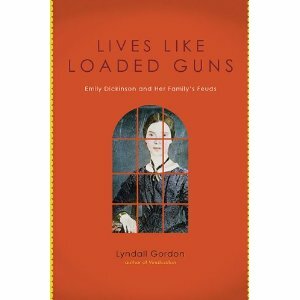 Previous to reading Gordon's book I enjoyed my perception Emily Dickinson was a sweet, fragile recluse surrounded by a loving family who held an excellent reputation in Amherst. Now I see her as more human being than angel, with an uncommonly rare gift for writing poetry. And I'm glad I to know the truth behind the facade. As is true with every family, there are secrets and intrigue carried on behind the scenes, and those trying desperately to keep stuffing that into the closet. Lyndall Gordon has revealed all about one formerly distinguished New England family, warts and all. Nothing less could, or should, be expected from such a respected writer of biography, and this book is a testament of that. what a stellar review! I’ve never been a huge Dickinson fan but you make me really want to read this! Thanks, Courtney. It’s one of those fascinating books you never want to end. Until the final chapter or so, that is. But before that, YOWZA! What an eye-opener. I just finished this book last night. OH! WOW! I am a big fan of Emily and have read all the recent bios about her (starting with Sewell.) I ‘knew’ about the affair and have often wondered WHY someone did not dissect the effects it must have had on her legacy. 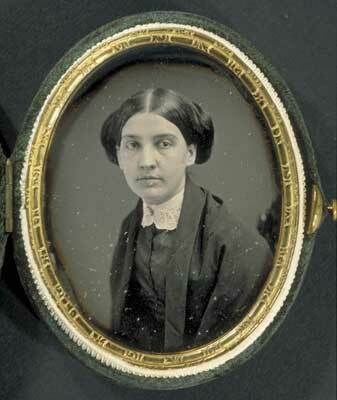 My daughter attended Mount Holyoke which sent me on a four year Emily Dickinson hunt. It began the weekend we dropped her off, we casually went to visit the Homestead and I WAS ROCKED by the Evergreens. (I wrote a blog post about the Evergreens) I became fascinated and started reading everything I could about her. Like you, I came to her with the “myth” in mind, ‘sweet little thing flitting in white dress.” But, nothing could be further from the truth. What an amazingly jaw dropping story and also, how devastating to the family members caught up in the love affair. Little Gib’s room in the EVergreens was sealed up for years and they have installed an observation window for visitors to peer into – it is the spookiest, most heart wrenching museum in America. I once stayed at the Inn across the street from the houses and wandered about in the snowy dark. The presence of the families lingers to those with an imagination. This book does read like a fast paced novel. I enjoyed the part AFTER the trial because I had no idea, NO IDEA it went on and on and that ultimately, the Todd camp shaped Sue’s depiction. I can tell that the docents at the museum (Homestead and Evergreens) are now working this out in their tours, Sue is being rehabilitated. I am going to re-read the Sewell bio because I feel as if I am one of those who were tainted by my opinion of Sue. Great review here – thanks.